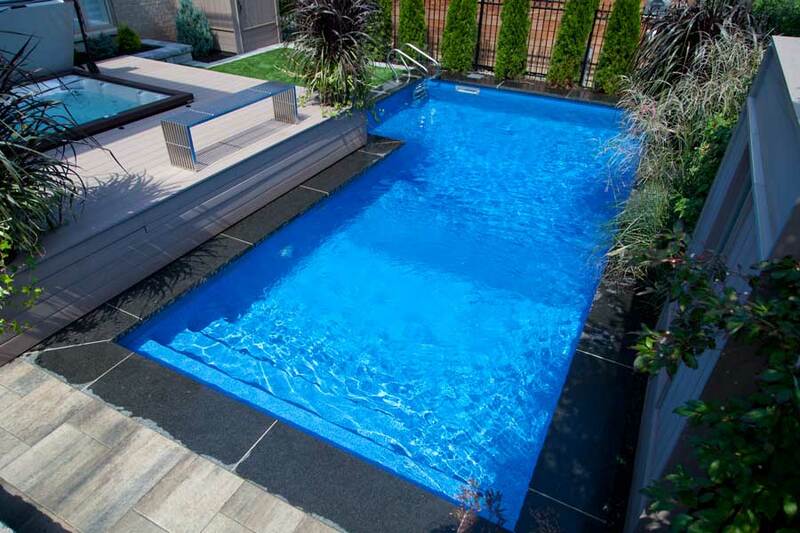 The Bamfos feature one of our most recent designs in this incredibly elegant and modern Square L inground pool. The interior vinyl over steel steps span the distance of the shallow end to act as an accent piece, a convenient entry, and a shallow tanning seat for any number of guests. 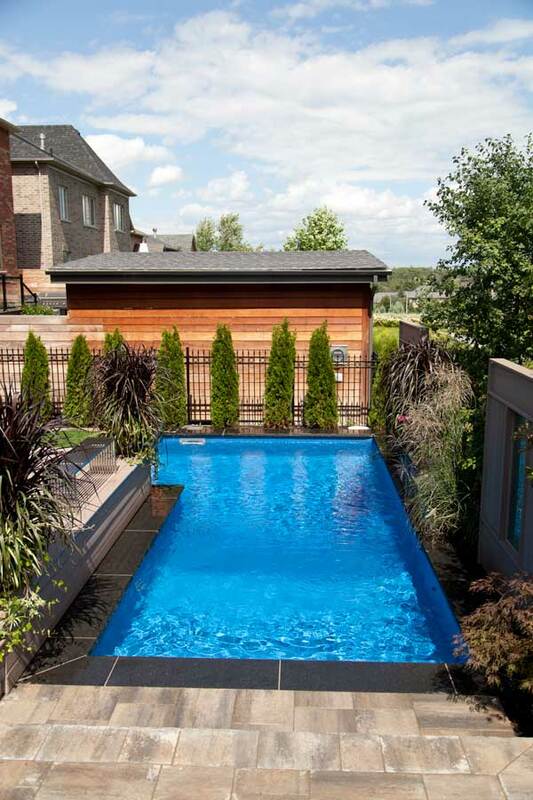 The shape of the pool wraps perfectly around the deck and is lined with a rich dark coloured stone that accents the natural beauty of the water. 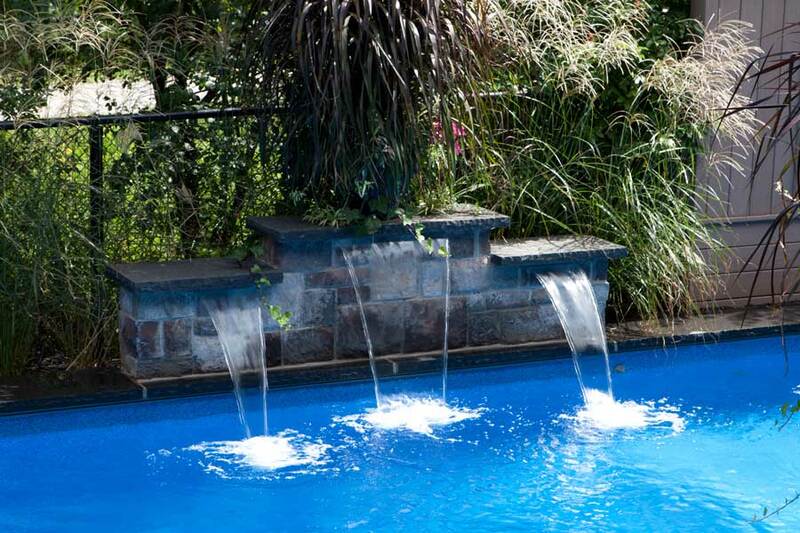 Three sheer descent waterfalls cascade water into the side of the pool creating a whimsical arc of water like something out of a fairytale. 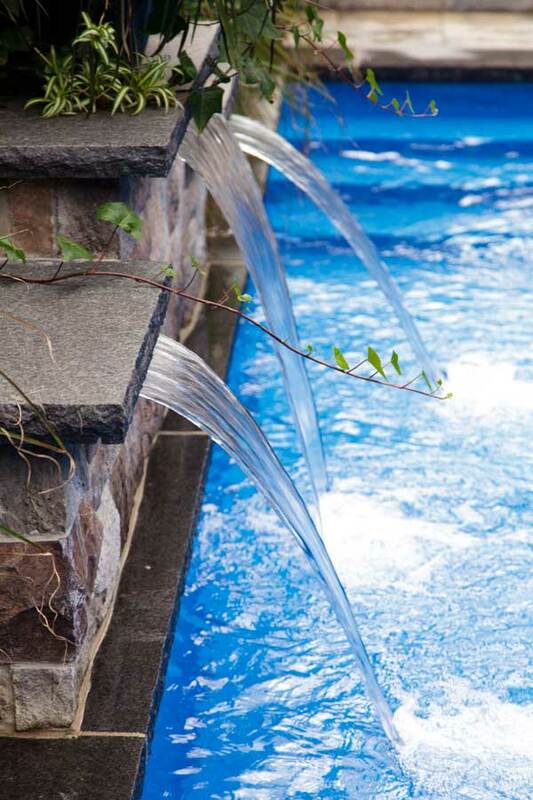 Beautiful landscaping completes this incredible design and reassures us that anything is possible.